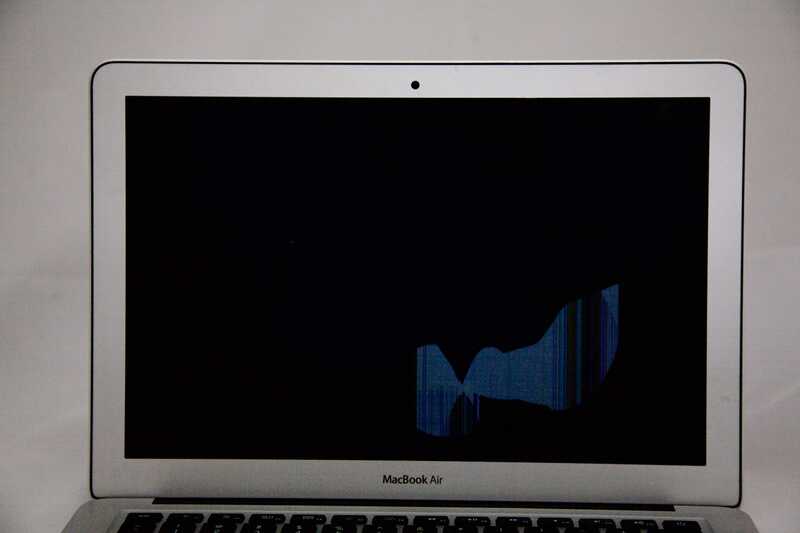 This 13 inch MacBook Air was broken when the laptop was dropped. The screen is dark and has cracks and blue vertical lines in the area where the screen was hit. The solution to this issue is to replace the LCD panel, which is the damaged part. The rest of the screen is fine. We were able to repair this MacBook quickly.